Not only are the adults pretty, but the nymphs are also attractive in their own way. I prefer the black background here. 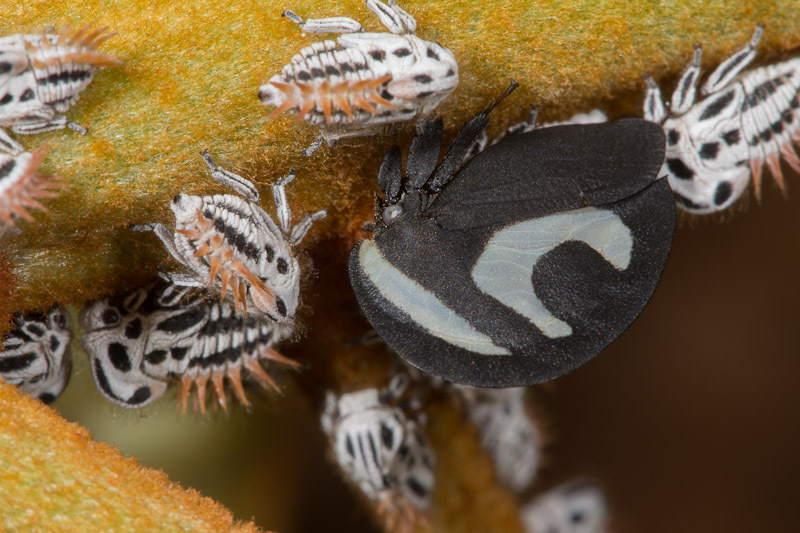 The treehoppers cluster together in small groups. 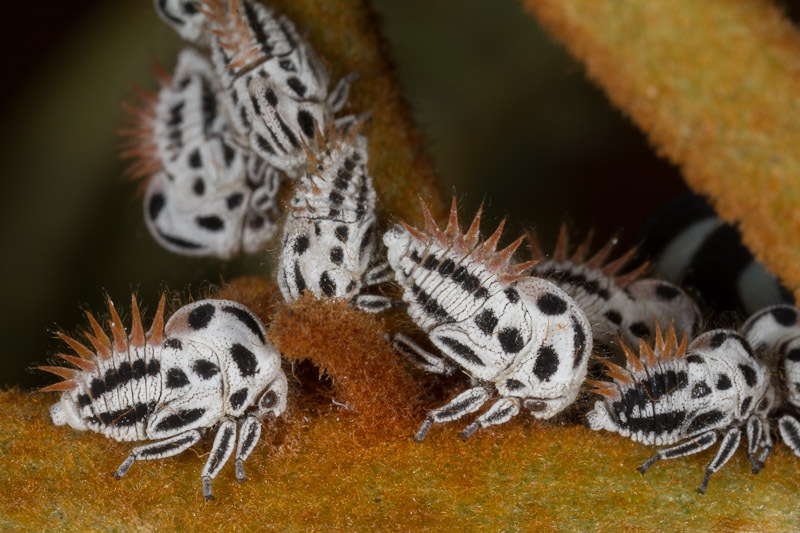 Somewhat surprisingly, these treehoppers didn’t appear to be attended by any ants. I thought this exuvium was interesting. 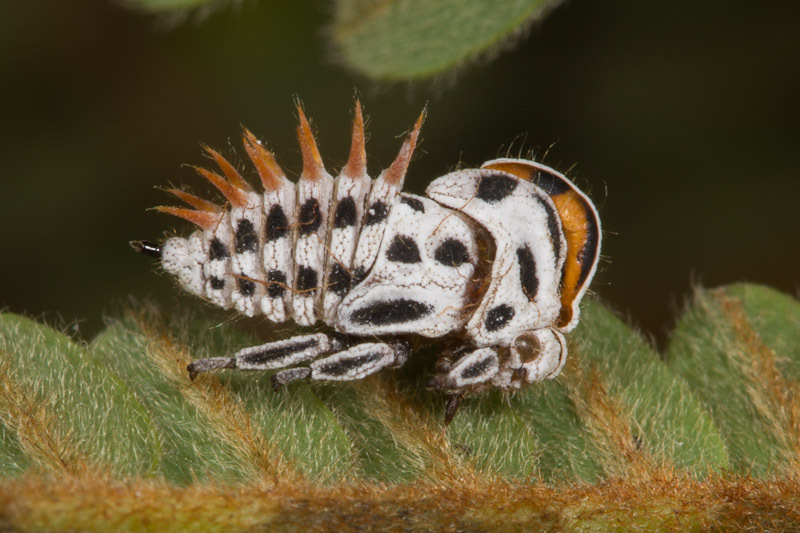 The interior is orangish, like the spikes on the abdomen. I suppose the base color is really mostly orange with black spots. The white color must really just be white scales. They were on a good sized tree. While looking around for an identification, I encountered a similar looking species on this plate from the Biologia Centrali-Americana identified as Membracis foliata. 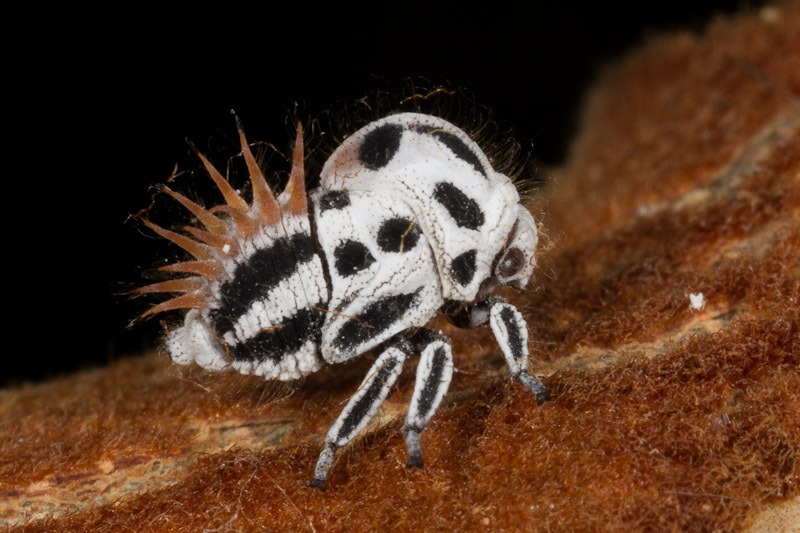 This article indicates there’s been confusion around that species though, so it could very well be one of the other species mentioned there (unfortunately I can’t access the full text). 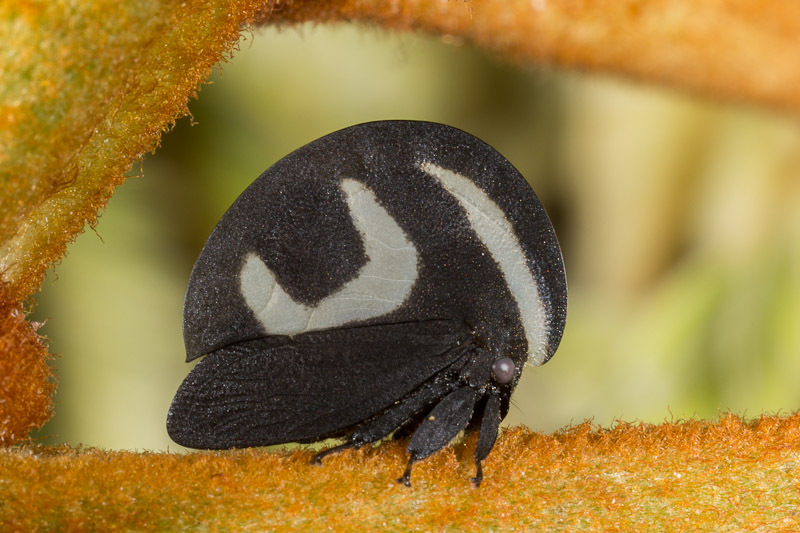 This should be Membracis foliatafasciata (DeGeer, 1773), long confused with M. foliata but distinct by the posterior C-shaped marking not reaching the apex of the pronotum. I can send a PDF of the article you cite if desired. Awesome, Ted. Thanks for checking for me. I’d love to have a copy if you don’t mind emailing it to me. I’m sure it’ll come in handy the next time I encounter another species in this genus. 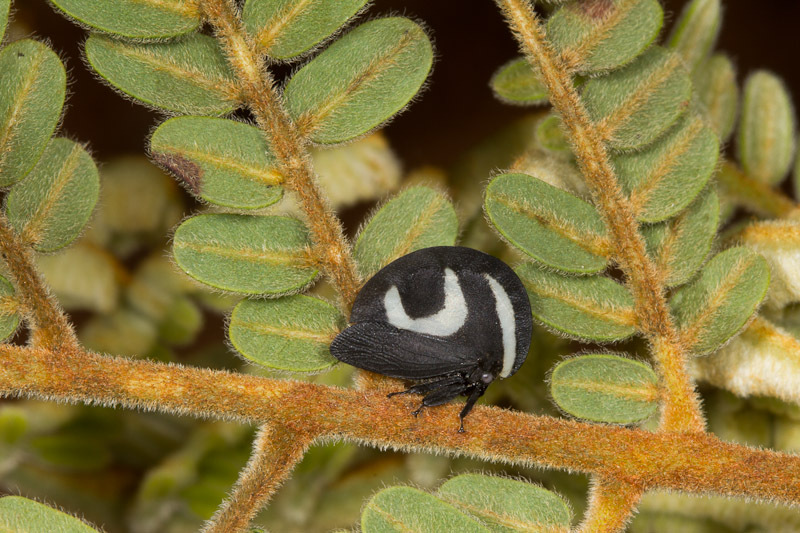 I have wanted to find and photograph members of this genus for a long time. Lucky dog (and spectacular shots)! Well, I know where there’s a tree full of them!